When it comes to getting hair extensions, you want to know you’re getting the best services and that the hairdresser is going to take good care of your precious hair. Sometimes you’re faced with a choice between a regular hairdresser or a hair extension specialist – someone who only does hair extensions and no other kind of hairdressing. At Arabella Rose we are hair extensions specialists. We believe that giving customers beautiful extensions day in day out means that we possess greater experience and skill, offer the best possible service and, most importantly, provide the best hair extensions. Someone who only concerns themselves with hair extensions is more likely to have a deep understanding of the industry and the best methods for hair extensions. For example, at Arabella Rose we have taken into consideration our customers’ feedback as well as the general opinions in the industry. As a result, we only use micro ring hair extensions as we believe them to be the safest and most durable. A regular hairdresser simply doesn’t have the time to research the latest techniques in the same way that a specialist can. As a specialist hair extension salon we always keep hair in stock rather than ordering it in, so there is no delay in the client getting their extensions. We use only the finest Russian hair, which has been ethically sourced. It is also Remy hair, meaning that it’s cuticle correct and hasn’t been ruined by chemical treatments. Hair extension specialists such as ourselves can also provide a much more personal service, offering bespoke extensions for each client rather than pre-tipped extensions that come straight from a factory. At Arabella Rose our bespoke extensions are suitable for any colour, length or texture, giving you a beautiful, natural look. Whilst regular hair salons may only do extensions on a monthly or two-monthly basis, hair extension salons create gorgeous hair extensions every single day, providing a wealth of experience and know-how when it comes to offering the best possible service. A hair salon using a brand company tends to charge double and, in some cases, triples the price offered in a specialist hair extension salon. Prices in regular salons can start at a staggering £1000 for factory-tipped, low-quality hair. Hair extension salons can offer better quality hair at a much more reasonable price. 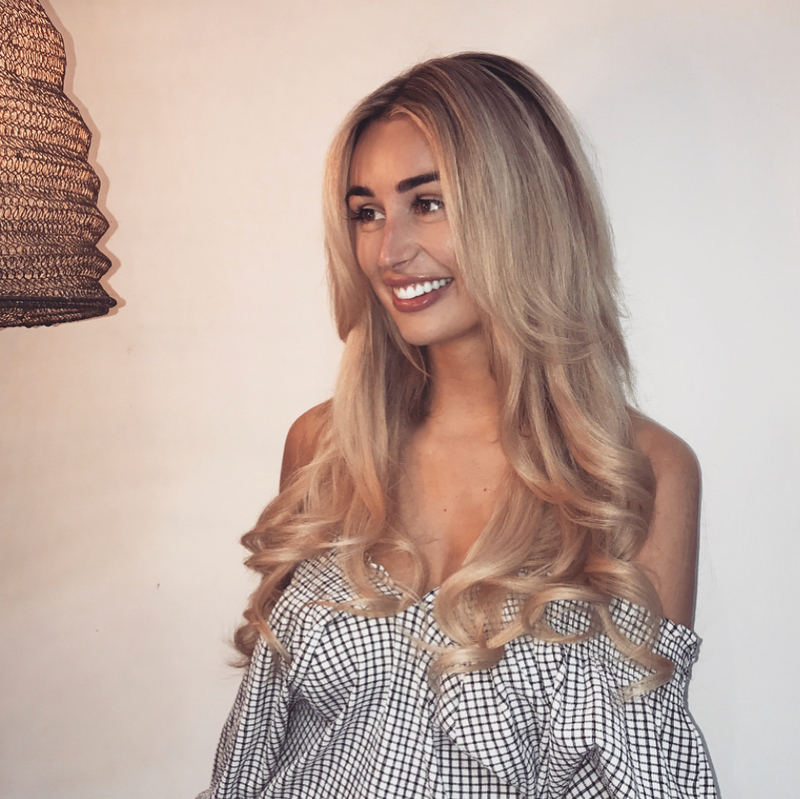 To the get very best hair extensions, fitted using a safe and long-lasting method, always trust a hair extension specialist like Arabella Rose.